I am going to get Phage Therapy to fight an antibiotic-resistant lung infection. This fundraising campaign is to help pay for the publicity of phage therapy and possibly filming of my experience. I will be self funded for my airfares and medical costs. Antibiotics are failing people. People with Cystic Fibrosis (PWCF) like me, are the most common victims of Antibiotic Resistant infections, primarily in their lungs. Doctors will only treat with Antibiotics despite knowing it barely works, Bacteriophages, or Phage Therapy , is one serious and clinically recognised alternative to antibiotics. 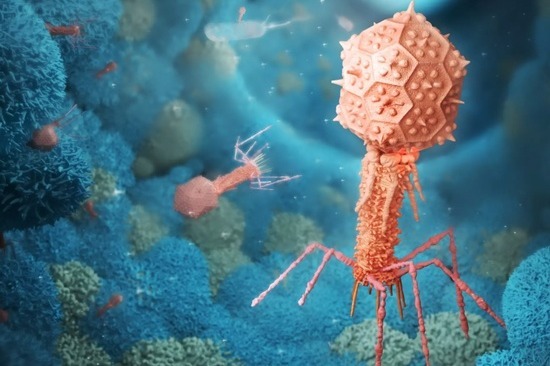 Because phages are naturally occurring (in sewages and swamps,...) and are not man-made or synthesised, there are virtually no financial incentives for the pharmaceutical industry. Hence little research or money for costly clinical studies. BUT!! There are many cases where phages have cured life threatening infections. Why are we not using Phage Therapy more? Because of the nature of it there are few financial gains for pharmaceutical companies to be made from naturally occurring phages, and it is up to people like me to allow the world to see for themselves and to explain the what, why and hows of Phage Therapies. Through my experience I can show the world, promote and explain about Phage Therapy and why it is so incredibly important. Phage therapy is generally not covered by insurance or public health funds yet. A phage lab will one day be part of all hospital pathology labs, and I expect this to happen within the next decade because the cost is minimal compared to the benefits and the lives it can save. For me to get treated I will take my Oxygen Concentrator and sick lungs to Yale University to be treated by Dr Benjamin Chan. Why Dr Chan? Dr Chan is a progressive researcher at Yale with passion and talent who has treated PWCF before and is keen to see Phage Therapy gain acceptance in our medical world. This fundraiser is to get starter funding to film and to promote Phage Therapy, focussing on my treatment. The resulting documentary will be used to educate people and stimulate the acceptance and adoption of phage therapy. Rummin Productions , keen to help make this documentary, has made an incredible documentary of a ride I did in 2017 with an all disabled team cycling across Australia's remote desert; http://rummin.com/lowest-highest/. To see the entire documentary click <here >. Or, a decade ago I rode across Europe for Cystic Fibrosis. Click here for that DVD from Amazon or read the book (available CHEAP for Kindle ). Having CF, like any chronic condition is expensive. There are many meds not covered by health insurance, eating healthy can also be very expensive, and simple things like washing a car, cleaning or for some just walking and talking at the same time, or showering, is a big chore that makes you out of breath and cough. Travelling with a nebuliser, an oxygen concentrator, boxes full of medication excess luggage and too much carry on, doctor certificates to get travel insurance, having to avoid crowded places, not allowed to stay in youth hostels or budget accommodation out of fear from unhygienic conditions that will make us sicker, living, let alone travelling with CF is not easy. By donating $5 you are not only adding to the campaign, but you also add to the number of people interested in what we're doing., joining the Phage Club! This is very important as one person donating $20k is all very nice, but it does not show there is global interest. We need numbers so we can all get Phage Therapy locally when we need it, and we all will one day. Just like you occasionally you need antibiotics now, one dy it won't work for us and we need Phage Therapy! So even if you can only spare $5 we would appreciate it because it shows you are interested in the outcome and your $5 will help decide networks and TV whether a documentary is going to be of interest. And we do need every dollar we can get of course to get me over there. PHAGE OR FAIL; Where antibiotics fail, phage continues. According to current research, Antibiotic Resistance will cause an estimated 10 million deaths per year by 2050 if we don't develop an alternative. For this reason strategies other than traditional antibiotics must be developed. One available option is the use of bacteriophages (phages). 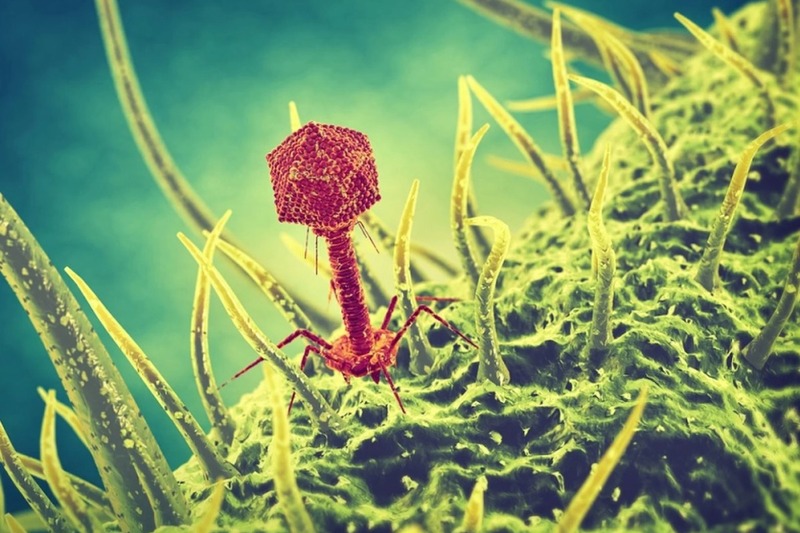 Phages are nature’s most abundant bacterial predators. They can be used alone or in combination with antibiotics against difficult-to-treat infections. Since the beginning of time, humans have been subject to infections. Infections were synonymous with death. Apart from a healthy diet and lifestyle, and a strong immune system, there was little that could be done to help people fight infections, whether a result from a fall out of a tree, a bite, or an infection you got swimming in a swamp. In 1896, Ernest Hanbury Hankin, a British bacteriologist in India, demonstrated that the waters from the Indian rivers Ganga and Yamuna contained an agent that destroyed cholera-inducing bacteria. Soon after another scientist, Félix d’Herelle studied patients recovering from dysentery. He filtered stools and incubated the filtrate which he then found stopped dysentery. He described his discovery as a microbe that was a “veritable” microbe of immunity, this made him the first scientist to isolate a bacteriophage that could treat disease. 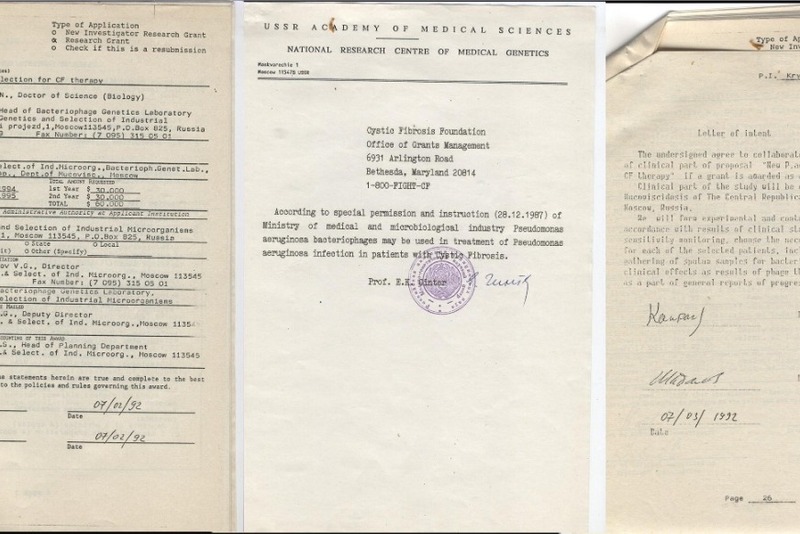 By the 1920s phage therapy was taking off in the Soviet Union and is still currently used in some ex-Soviet. 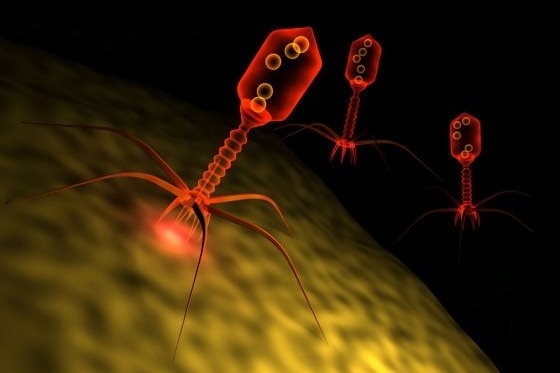 Only now that we are reaching the end of the golden era of antibiotics, phage therapy is being revisited as a potential alternative to antibiotics in Western countries. Research is now done to discover how to select the most adequate phage(s) against specific infections. In the 1930s Western Medicine strayed from phage research towards antibiotic development when the Bayer Laboratories developed an antibacterial drug called Prontosil. The Western World found that treating bacterial infections with an antibiotics was easier than finding a phage for each specific infection. Now after a century of successful antibiotic treatment, we are finding that there are more bacteria with resistance to multiple antibiotics. These superbugs include Golden Staph and MRSA and we have no reliable cures for these infections. As a Cystic Fibrosis patient, I have a lung infection which is very common for people with CF, Pseudomonas Aeruginosa. This is almost impossible to eradicate using antibiotic treatments. Yet when my lungs get bad the doctors still recommend another 2 weeks of hospitalisation for tough IV antibiotic treatment which they know will not fix the problem, merely temporarily reduce the bacterial load in my lungs. Such 'tune-ups' are very expensive and interruptive, and detrimental to the rest of my body, especially my gut flora. The actual effect to the average CF patient is that they can breathe better for a week or two, sometimes a bit longer, but still have to be on continuous oral and inhalable antibiotics at all times. Knowing antibiotics are just not working anymore why is Western medicine not paying more attention to Phage Therapy? The reasons I see are that in order for research and acceptance we need expensive trials which are usually funded by drug companies. Unfortunately, by the nature of phage therapy, there is no phage drug that can be patented and brought to market at high profits to recoup the cost of clinical trials and research. This is where I can make a difference, by introducing to the world, especially people with Cystic Fibrosis, how phage therapy offers an alternative to antibiotics. Phage therapy most certainly is not the silver bullet. Typically people who are infected by superbugs can be reinfected with other ones, and bacteria will also develop resistance to phages. Like antibiotics, phage therapy may possibly cause undesirable side effects in some people with allergies, or may not work adequately for all bugs, but consider antibiotic treatment for me, a Person with Cystic Fibrosis. I am treated with antibiotics continuously with regular intensive 2 week IV administrations on a regular basis, despite the fact that antibiotics have severe side-effects and are hardly effective against my infections. It is time we try something else. If phage therapy can eliminate one bug at a time from me then it will be worth the trip! I will still have Cystic Fibrosis and I will still have terrible lung infections, but if we can eliminate the worst bacteria then a regular antibiotic 'tune-up' will become effective for me again, until I contract another virulent infection. People with CF can go years without catching infections, but then empty the compost or do some gardening, enter a crowded space with one infected person, and voila, we are infected again. This is why I believe we need a phage lab attached to every major hospital or pathology lab. When broad-spectrum antibiotics were invented it was considered a bonus that it could eliminate a large variety of organisms. Now we realise that antibiotics are killing off the good bacteria too. A tenth of your body weight is bacteria, most of them necessary to keep you alive, hence aggressive and long term antibiotic treatment causes harm. Phage therapy is far from broad-spectrum, effective only to a few strains of a particular species of bacteria. In practical terms, this means it is safer to use with fewer side-effects, but requires careful testing to ensure that a particular phage will be effective against the targeted infection. If you have Antibiotic Treatment and the infection is not eliminated your bacteria is then isolated and sent to a phage lab. There they consult a phage library, a collection of naturally occurring, collected phages, and match one to your specific bacteria. A lab worker may cultivate some bacteriophages to get a more specific species. A concoction of phages will be prepared for the individual patient, for the one current infection needing treatment. The phage may be given to the patient with a course of oral antibiotics on top for good measure. The phages are naturally occurring and are not made by a lab, they are not inherently expensive, they just require individually locating and matching. What is needed is an extensive phage library and lab workers experienced in phage therapy. A comprehensive phage library could exist in each state even a national one, with a phage lab attached to each hospital or pathology lab. 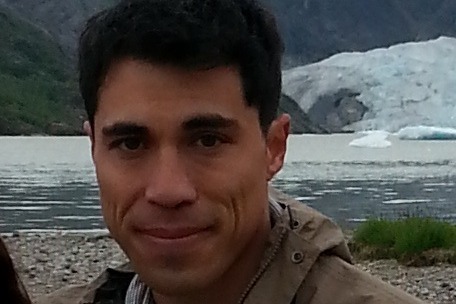 Dr Benjamin is a 'phagenomical' Associate Research Scientist in the Department of Ecology and Evolutionary Biology at Yale University in the Laboratory of Professor Paul Turner. His research involves the development and creation of the treatment of bacterial infections unresponsive to traditional antibiotic therapy. 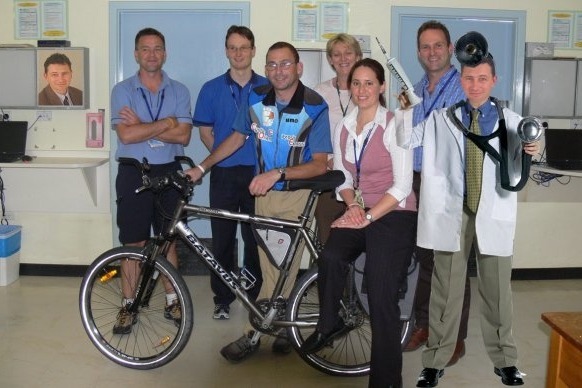 He has already successfully treated people with Cystic Fibrosis, eliminating pseudomonas aeruginosa infections. Benjamin has gracefully accepted to treat me with his experimental phage therapy so that we can bring some worldwide publicity to Phage Therapy and how it can be used. I need help financing a trip from Tasmania, Australia to Yale University in the USA. I feel it is necessary to educate the world about the existence of phage therapy, which requires a documentary and press coverage. And PS My lungs are slowly failing me and not responding to Antibiotics. My lung function is now consistently below 40% of the expected FEV1 for my age and height. I want to do more adventures to raise awareness for Cystic Fibrosis, organ donation and general inspiration. So here is an opportunity for me to contribute to medical science! Please donate so I can spread my story far and wide! Again, I will be fully self funded for the trip, money collected here is for publication and media, towards a documentary/filming, not for my travel costs!!! IF you like to help me with travel/treatment cost, frequent flyer miles or acoommodation please email me at walter1@coughing4cf.com !! And is it just one bacteriophage that exists to kill that one particular infection? No, shock horror, it is more like real life biology where say us humans are able to get thousands of viruses that could harm or kill us without affecting our goldfish or hamster, as can rabbits get thousands of viruses without harming their fleas and other parasites, or us humans trying to grow carrots in the same fields these rabbits are dying of the various viruses they could potentially catch. Some viruses are more virulent than others. This means the microbiologists need to isolate a cocktail of effective phages for the bacteria they are targeting. Its not rocket science, but will take a lot of biochemists and lab workers to be employed. The alternative our capitalist society seems to prefer is to find a pharmaceutical solution that spends the same or more on a handful of CEOs and investors instead of creating employment for scientists! Win-win for Phages again. Thank you for reading this far and if you enjoy these regular updates and are interested to see how I go in my quest for killing my Pseudomonas aeruginosa infection with Phage Therapy please share this fundraiser with other people interested in fighting antibiotic resistance in our world! Donations are not for my travel or treatment, they are intended to cover film and media costs etc to let the world know about Bacteriophages. Just an update. Dr Benjamin Chan from Yale now has my medical info from my various doctors and a couple of hospital discharge summaries. I hope they can make progress in getting FDA approval and schedule me in! In the meantime please pass my crowdfunder to your friends, or visit www.coughing4cf.com for more info! And look, the World Health Organisation just published a fact sheet that said "While there are some new antibiotics in development, none of them are expected to be effective against the most dangerous forms of antibiotic-resistant bacteria. Given the ease and frequency with which people now travel, antibiotic resistance is a global problem, requiring efforts from all nations and many sectors" .... but not a word on possible solutions!!! With all you great donations, combined with my experience with phage therapy I will try to awake the world to options! And before I go, one more link to a good news story.... in the agricultural world it appears they already have commercially available products using phages. Read the agricultural pros and cons list!!! Why don't our doctors not know about phages for us poor humans. Thank you all for your donations, and PLEASE PUT LINKS TO THIS CAMPAIGN ON FACEBOOK!